EdgeLink is looking for someone that complements our upbeat culture. We appreciate personable, outgoing individuals that genuinely care about people. We look for strong work ethic and team collaboration. We are seeking a pro-active sales person to establish new business relationships then build and enhance those client relationships as you clal on and meet with technology leaders in Denver/Boulder. You' ll be working in our office except when you' re out on a company visit or at a technology event. The Technology industry continues to have a major impact on the economic growth of the US economy and it shows no sign of slowing down any time soon. You' ll be working in the hot technology industry...and meeting with technology leaders in Colorado. You' ll be joining a quality team in a fun, engaging, and professional office. You' ll be mentored by industry experts and surrounded by a team that collaborates well and helps each other. For more than a decade, Jeff has been developing high-performance recruiting teams. He has extensive recruiting and business development experience from technology companies within software and hardware related industries. His clients range from start-ups to established technology companies, with a particular geographic focus on the Pacific Northwest region. In addition to maintaining several key clients, Jeff is also responsible for the general management of EdgeLink. His primary areas of focus are to advance the overall growth of EdgeLink, including business development, brand exposure, EdgeLink’s Loyalty index (ELi) and the overall working culture. Prior to co-founding EdgeLink, Jeff was managing director for a publicly held search firm based in Silicon Valley. He was responsible for growing Portland’s direct-hire division into the most consistent and successful market nationwide. 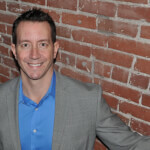 Jeff holds a Bachelor of Science degree in Business Administration from Lewis and Clark College.